Experience the true comfort of a Mitsubishi electric system! *Based on a 2014 study by Natural Resources Canada comparing electric baseboard heating vs a heat pump. Potential savings may vary depending on type of equipment, personal lifestyle, system settings, equipment maintenance, and installation of equipment. **Includes a government rebate of up to $5,800 on qualifying heat pump systems. 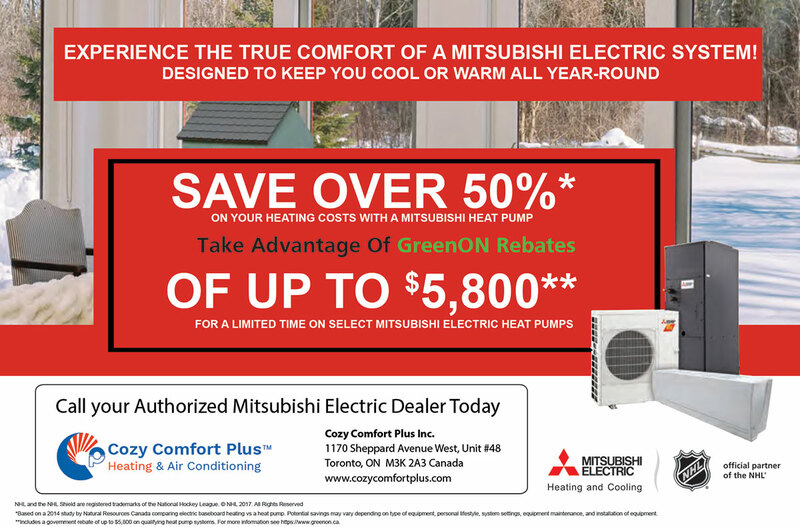 Do you need a free consultation about the Mitsubishi heat pump rebate? Call us at (416) 780-9760 for a free consultation or ask your question here and we will get back to you shortly.